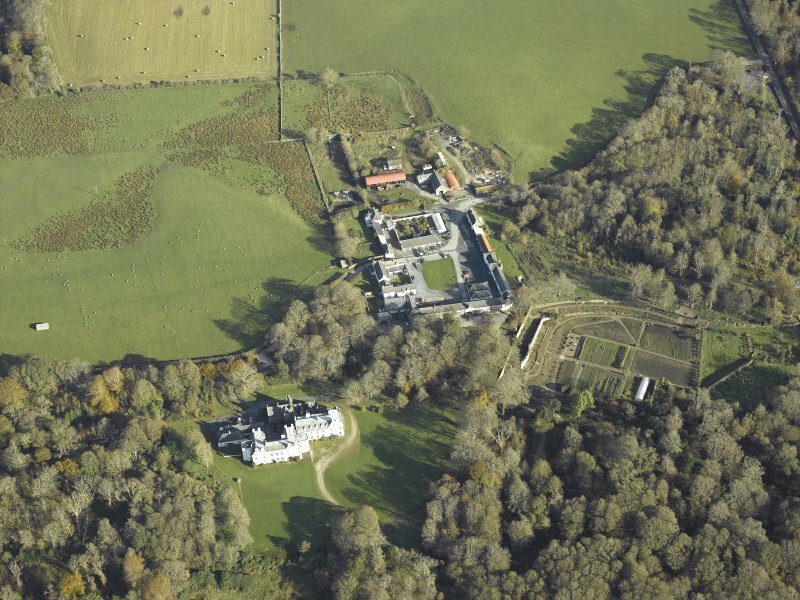 Oblique aerial view of Islay House, looking NE. 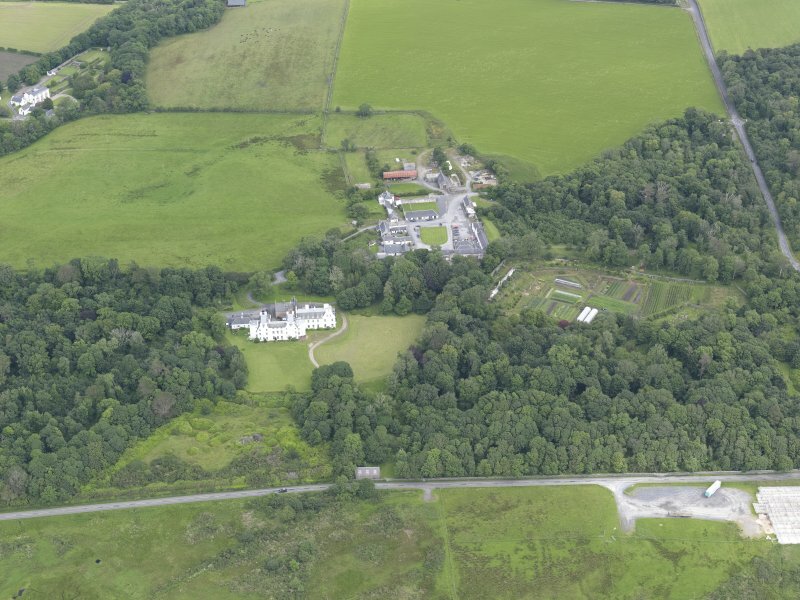 Islay House, Islay. 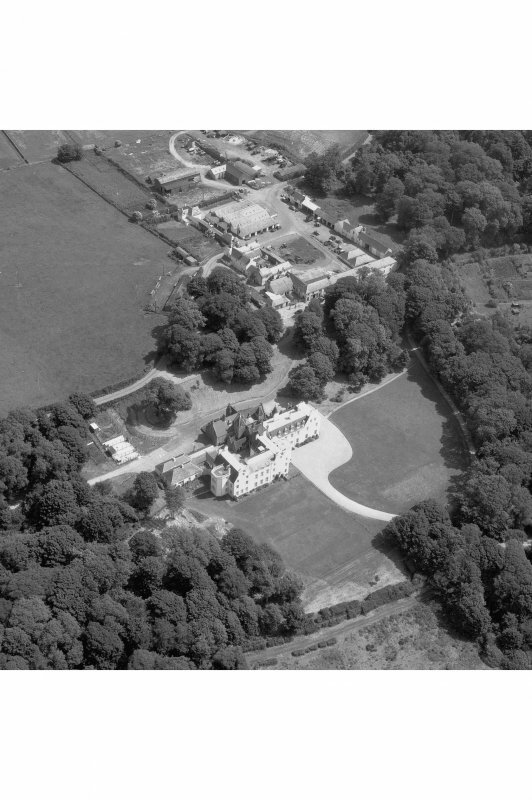 Aerial view from North West. 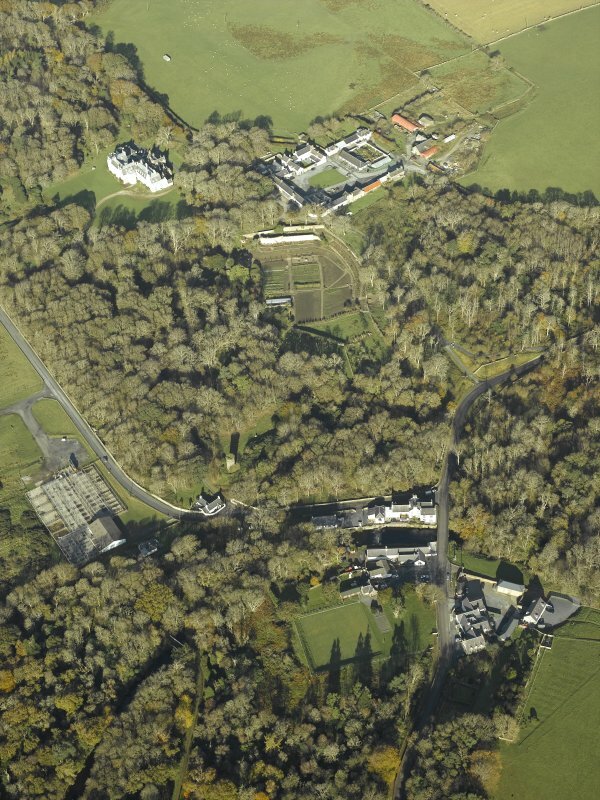 General oblique aerial view centred on the country house, kennels, cottage, farmsteading, byre, farmhouse and walled garden, taken from the SSW. 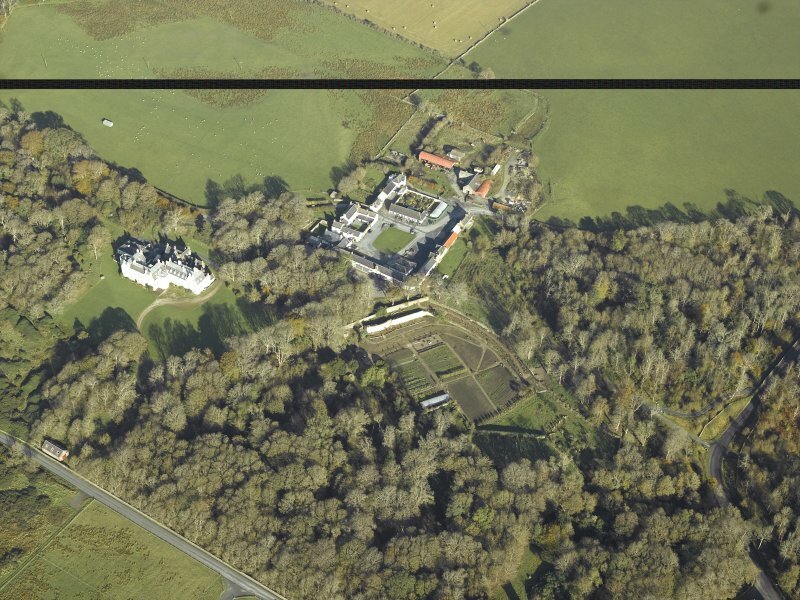 Oblique aerial view centred on the country house, kennels, cottage, farmsteading, byre, farmhouse and walled garden, taken from the WSW. 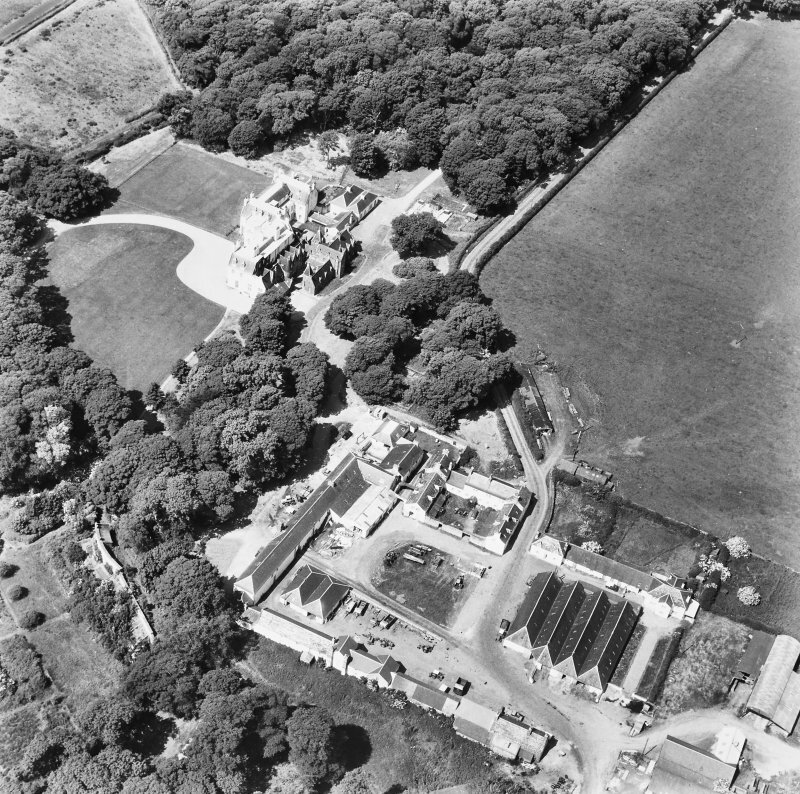 General oblique aerial view centred on the country house, kennels, cottage, farmsteading, byre, farmhouse and walled garden, taken from the E.
Oblique aerial view centred on the country house, kennels, cottage, farmsteading, byre, farmhouse and walled garden, taken from the WNW. 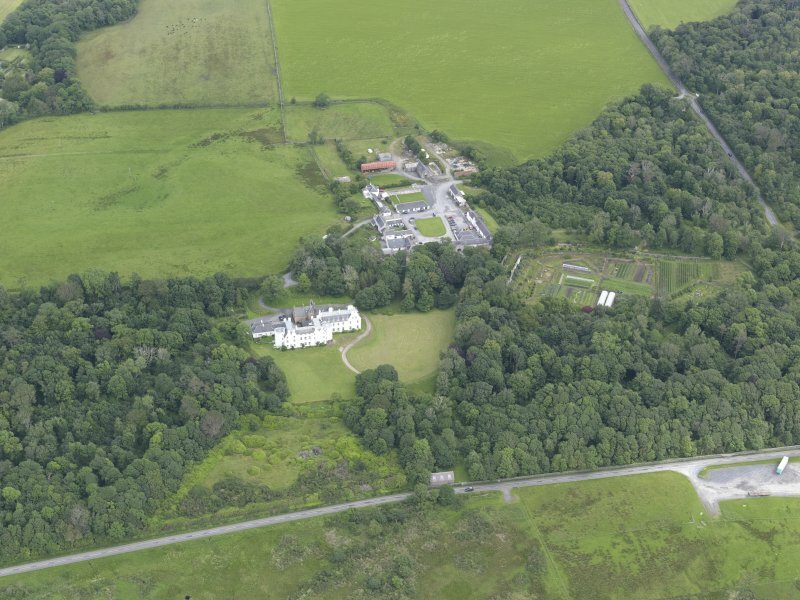 Islay House, Islay. 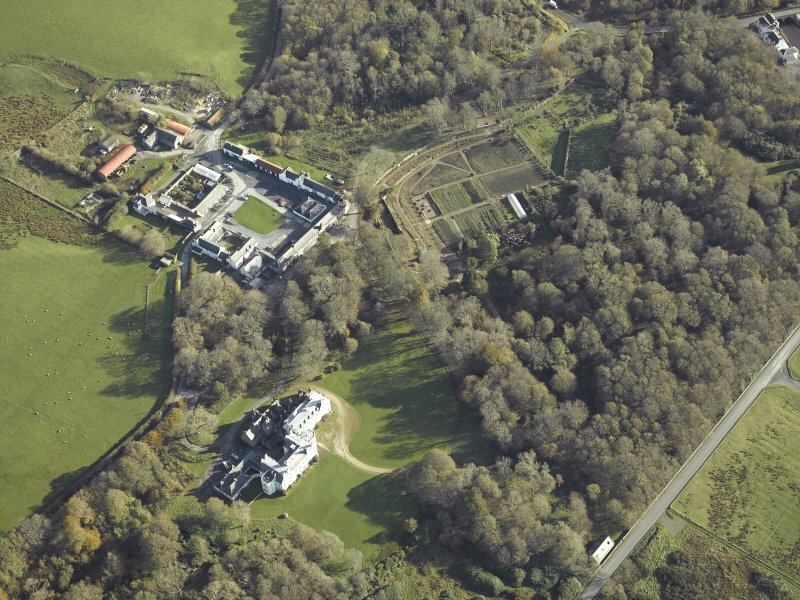 Aerial view from East. 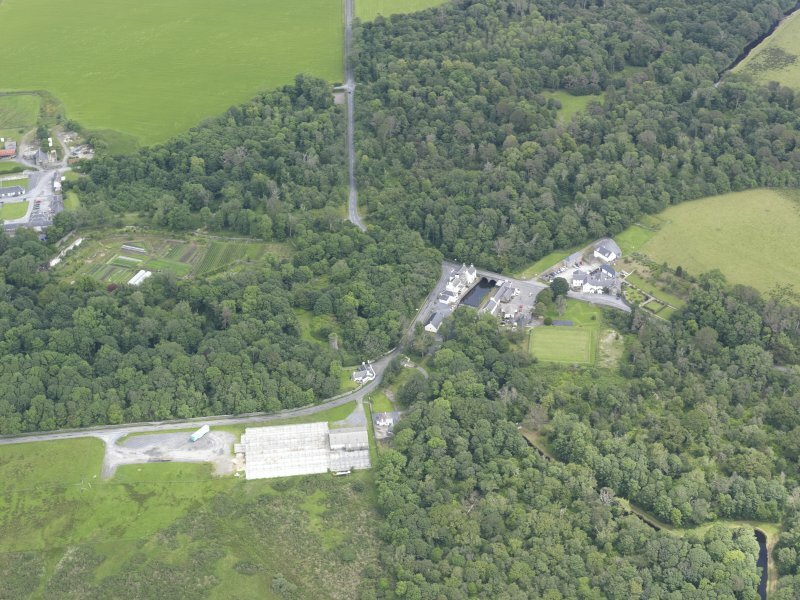 General oblique aerial view centred on the village with the country house, walled garden, farmsteading and farmhouse in the distance, taken from the S.
Situated on higher ground about 90 m E of the house is the main SW range of the farm steading (NR335 628), which probably dates from the later 18th century. 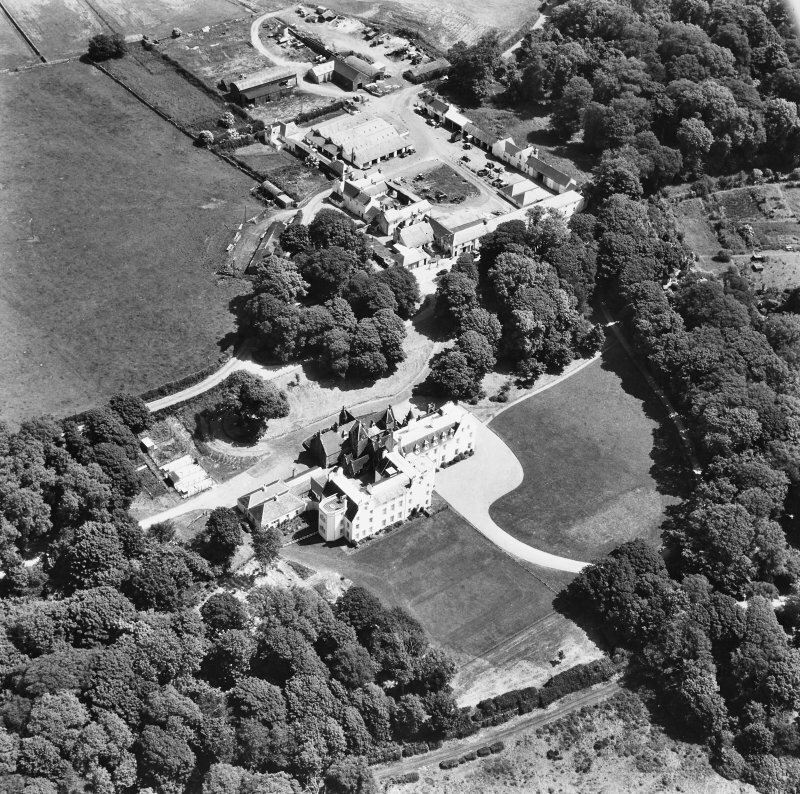 "* It is a plain harled building of two storeys comprising adjacent nine- and five-bay units and measuring 51.2m in length over all. An advanced and pedimented frontispiece contains a segmental-arched pend, and the pediment is capped by a stone-built clock-turret which formerly supported a belfry and finial as shown in a Heath watercolour of c.1830. Part of the range has been modernised to serve as a garage and store, but it retains stabling facilities to the S of the pend. 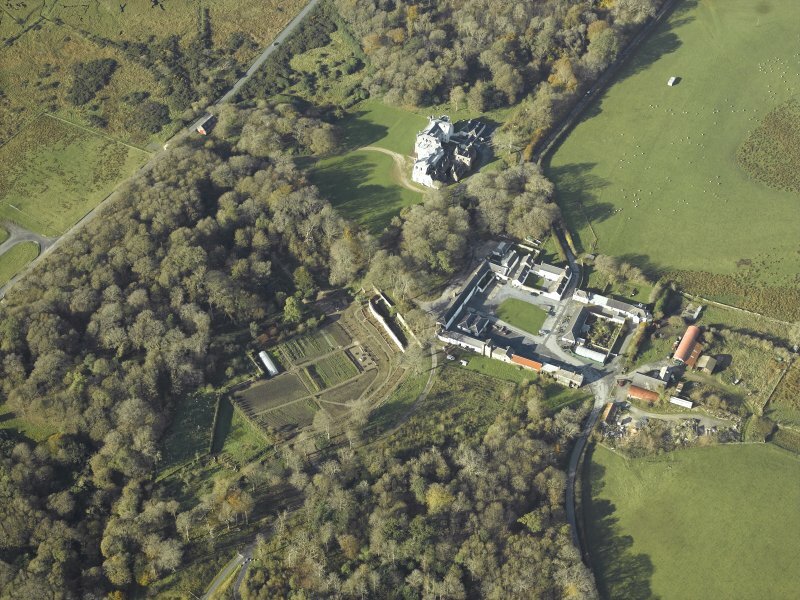 The rest of the farmstead comprises various ranges of domestic and agricultural buildings loosely grouped around a large courtyard, the farm manager's house and its flanking buildings standing behind a screen-wall in the NW angle.